Some reviews are more popular around here than others. When I first read the description of MarshMedia, I was not interested. Then, I got an email virtually begging for more reviewers, so, reluctantly, I signed up. We have been watching a movie a day while we eat lunch, as we have time. It tends to be difficult to find time for movies in our house. There are the most about puberty, a few of which I have watched. We also watched a couple from the hygeine topics. The one about protecting your hearing was unanimously voted boring, unfortunately. So was the one about head lice, although there was some interest, since a family we know had problems with them recently. Once I discovered the Character Education movies, though, under the Guidance tab, there was more interest in watching these. The Character Education ones each feature an animal who acts in pretty natural ways as he narrates the story. Stanley’s This is the Life was about a bear who found a snack inside a camper whose door was left open, and found himself transported to a place far from his mountain home. He discovered a drive-in theater and found lots of food there, but after awhile he realized that he wasn’t feeling good anymore. The moral of the story is obvious! Feathers at Las Flores was a fun story about a talking parrot at a cafe in Florida who repeats what he hears—with disastrous results. We found it quite funny, and I was able to refer to the story when one of my sons was tempted to gossip a day or two after watching it. We also watched Inger’s Promise, about a reindeer in Lapland who learned to be reliable. The best part of that one was the glimpse at life in a fascinating culture. These movies are not quite animated, but almost; the camera zooms in and out on a painting, and moves around the painting or from one illustration to another, as the story is narrated. The pictures are lovely and fairly realistic. As I said, I watched a few of the Puberty videos myself. I wasn’t comfortable with showing them to my boys. They aren’t very explicit, but there are line drawings of undressed people, showing the changes that occur in the human body as they mature. One thing I did appreciate about the one, A Baby is Born, was a quote near the end. It was something about that you are born either a boy or a girl and cannot change that. Not politically correct now, it seems, but certainly the truth! My personal opinion? 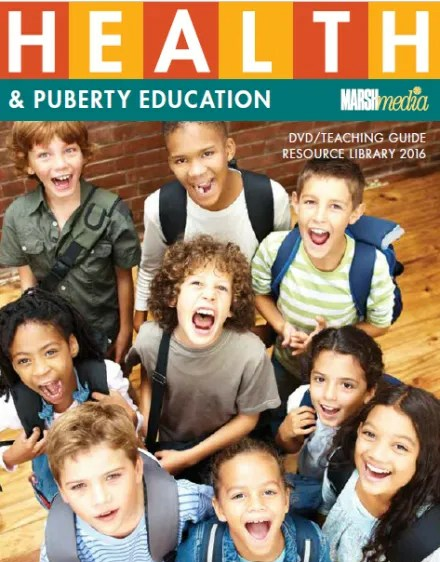 If you want or need to come up with a health education course, MarshMedia’s videos would be a great resource. For our family, they aren’t very helpful. Take a look and see what you think!